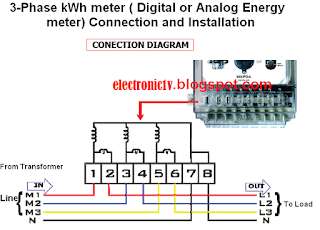 (Digital or Analog Energy Meter) from the Supply to The Main Distribution Board? 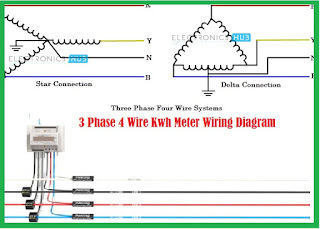 Below is The Connection of 3-Phase ( Three phase or Poly Phase (3-phase,4 Wire)) kWh meter (Digital or Analog Energy Meter) from the Supply to The Main Distribution Board. 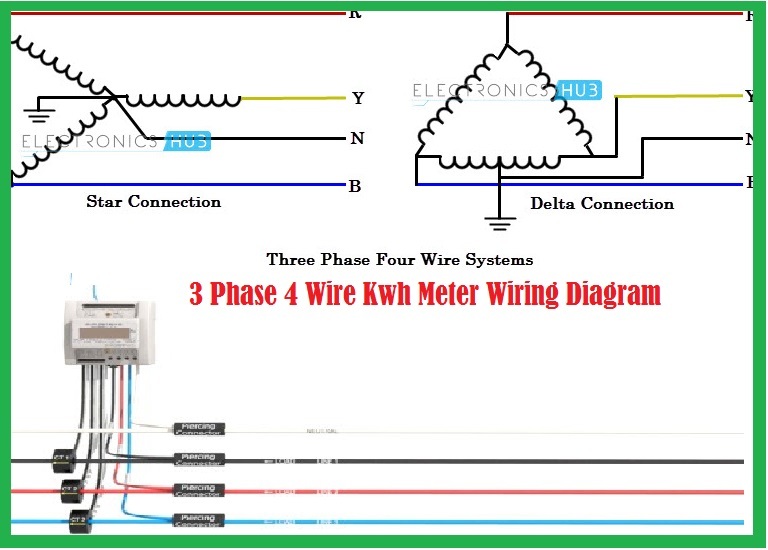 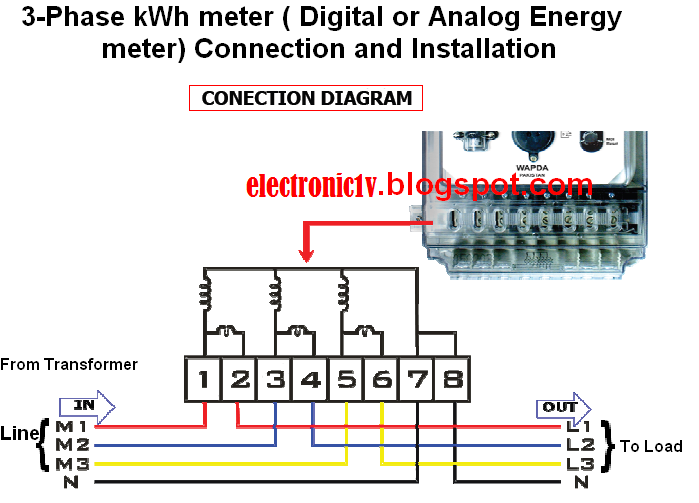 This is the most common inner connection of of 3-Phase ( Three phase or Poly Phase (3-phase,4 Wire)) kWh meter (Digital or Analog Energy Meter) also represent the basic idea of the above story.